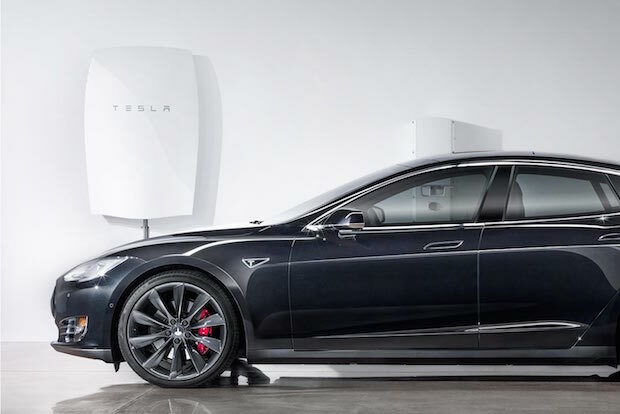 Electric carmaker Tesla has unveiled the Tesla Powerwall battery, the latest product in the wave of technologies offering more sophisticated domestic energy consumption. The 100kg, $3,000 (£1,949) lithium ion unit is intended to lower electricity costs for homeowners by giving them the chance to capture and store power when it is cheaper. Power can be captured from solar panels or at times when electricity suppliers offer cheaper tariffs, such as during the night in the UK, when for seven hours "the Economy 7 tariff" is available. Tesla founder Elon Musk announced the Powerwall to his two million Twitter followers and revelead more details on the product's page. It is likely Tesla will wait to assess demand for the Powerwall in the US market, where it will start shipping the units in summer before considering a launch across the Atlantic. Its claims for the technology focus on "independence from the utility grid and the security of an emergency backup" as well as being "beautifully functional".